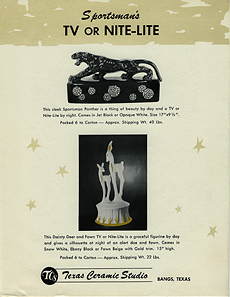 The Howard Kron ashtray designs at bottom are of a distinctly mid-century modern style. 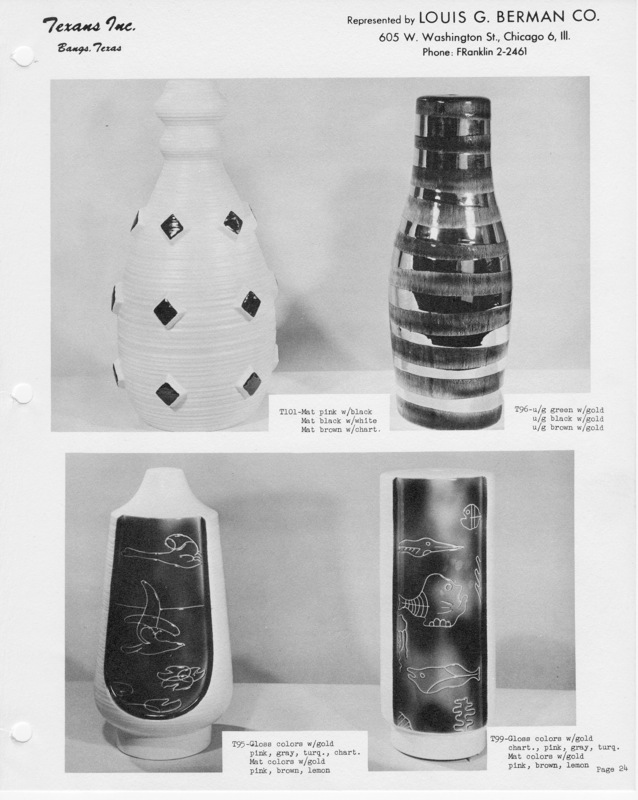 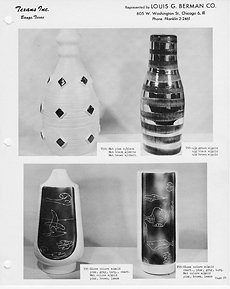 The hen and Early-American teapot lamps are designs Kron previously used on cookie jars produced at Gilmer Potteries. 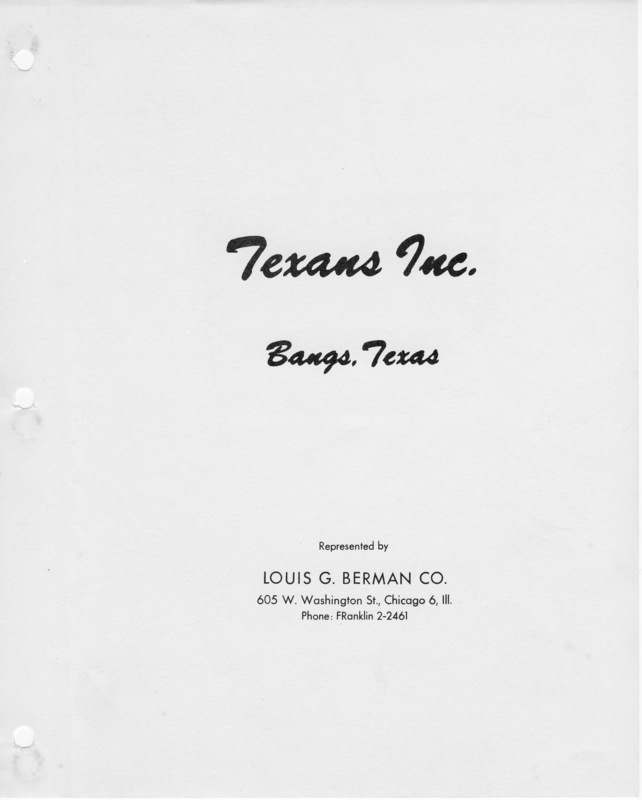 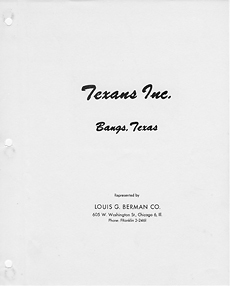 This and the following several pages were used by Louis G. Berman, a Texans Inc. distributor in Chicago. 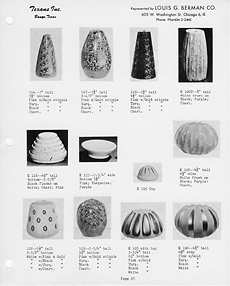 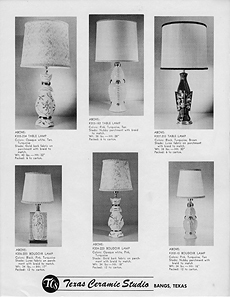 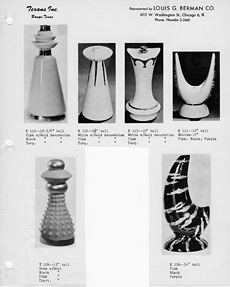 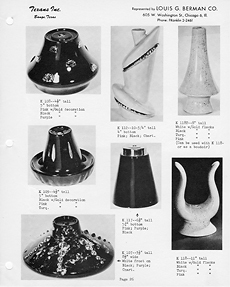 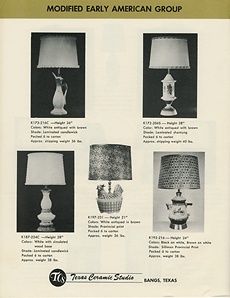 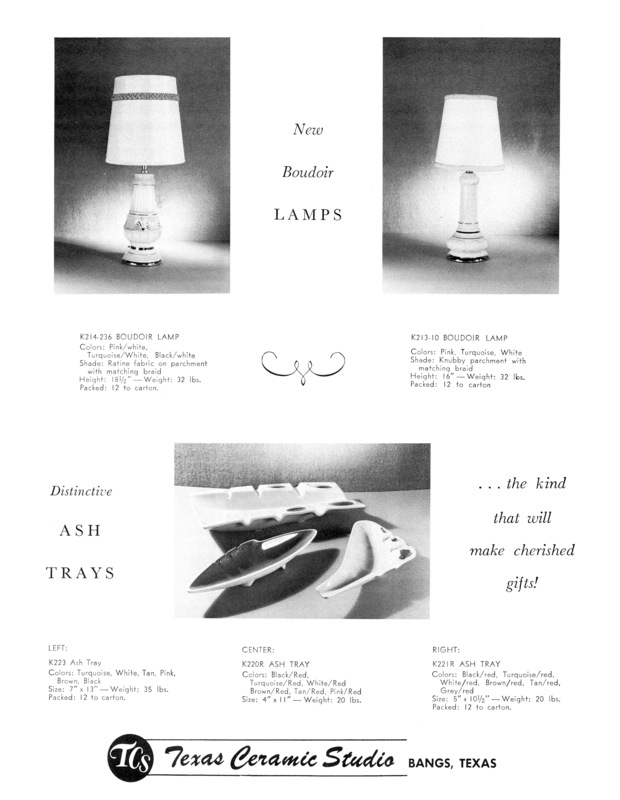 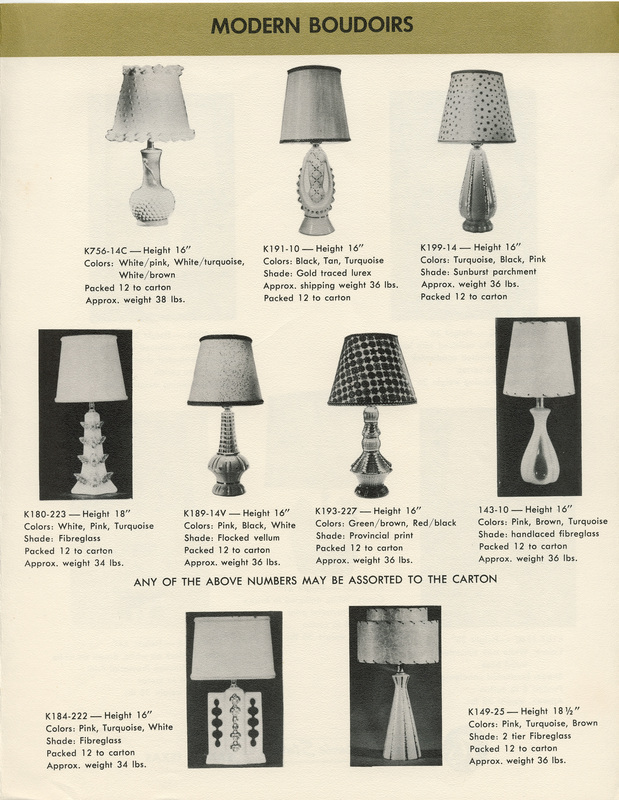 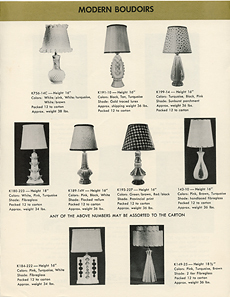 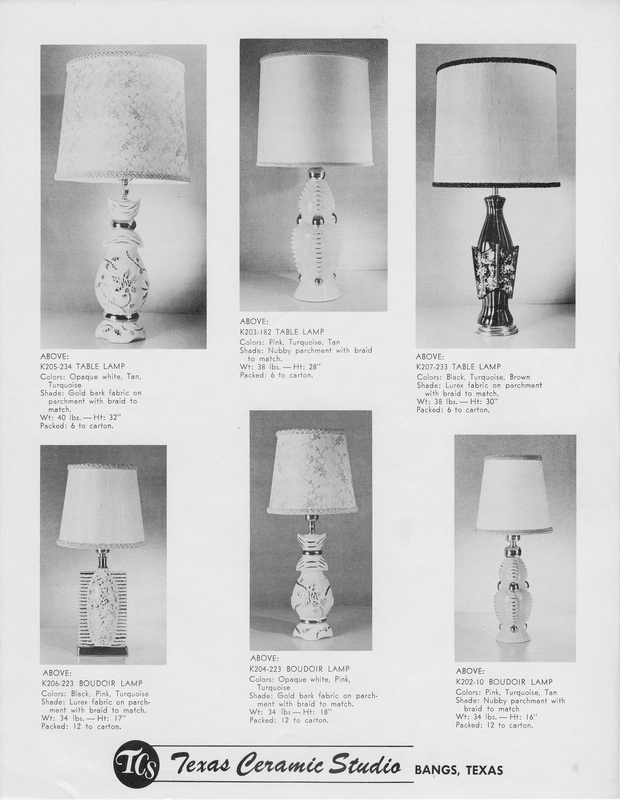 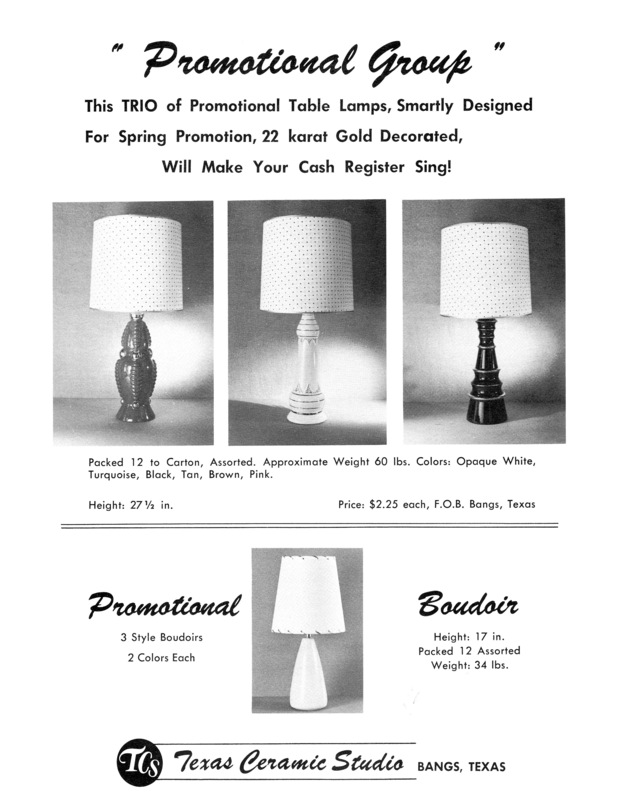 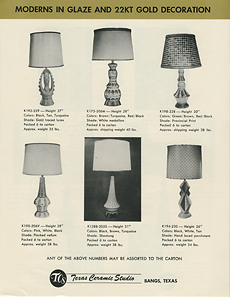 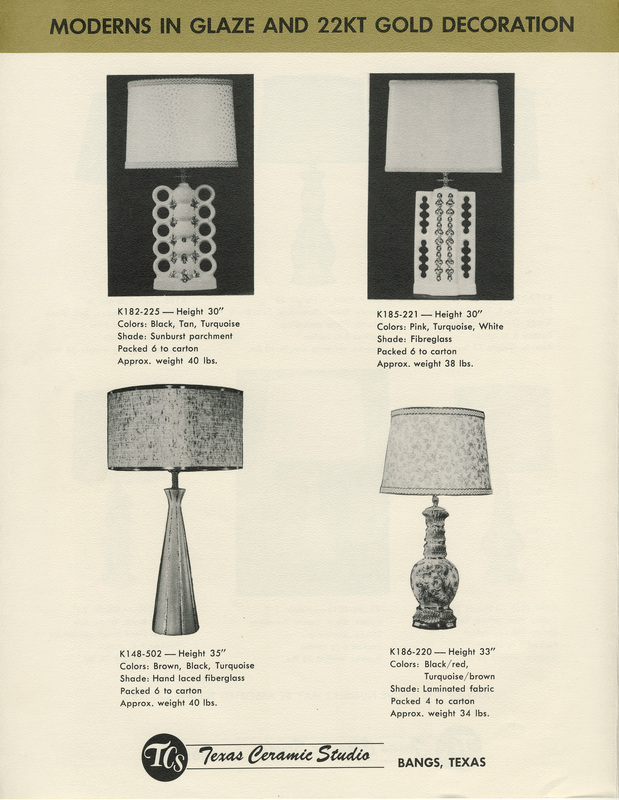 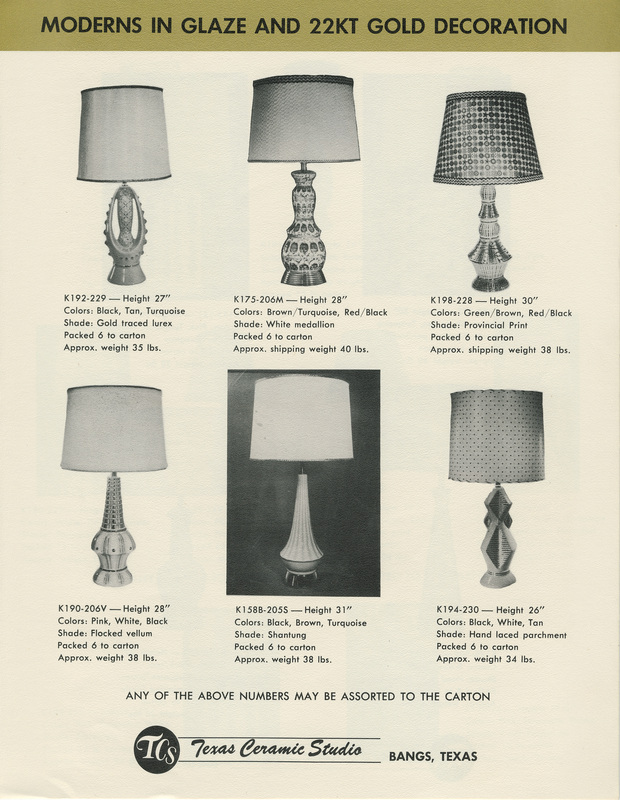 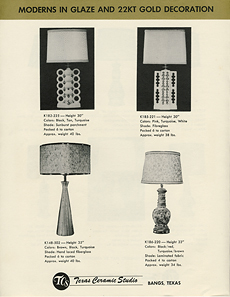 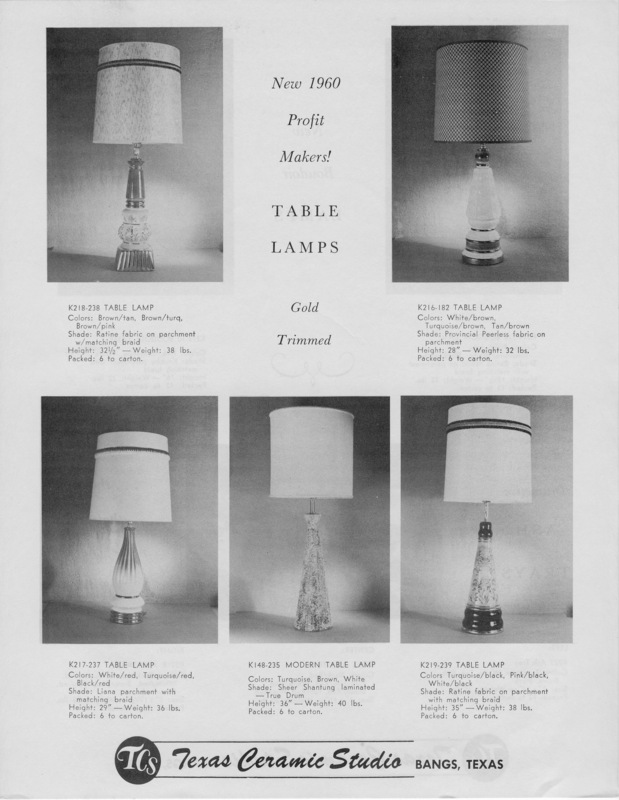 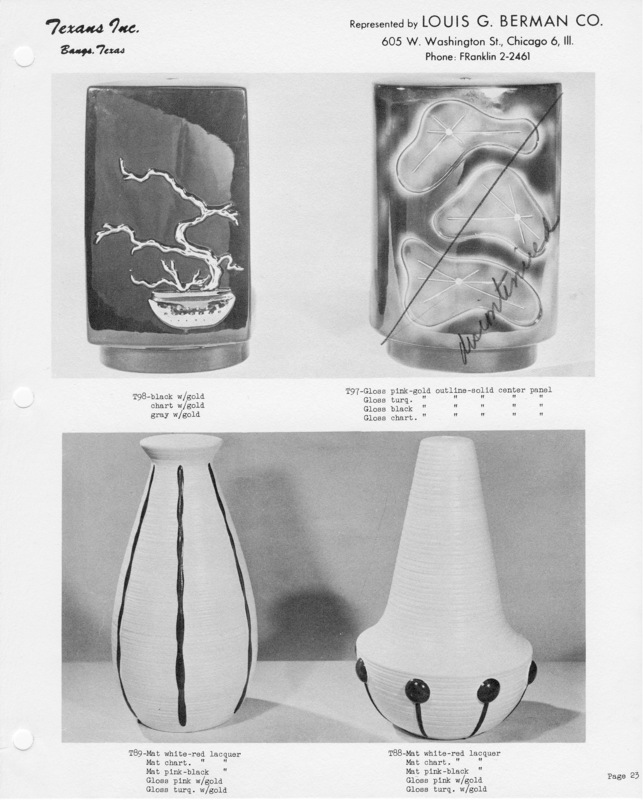 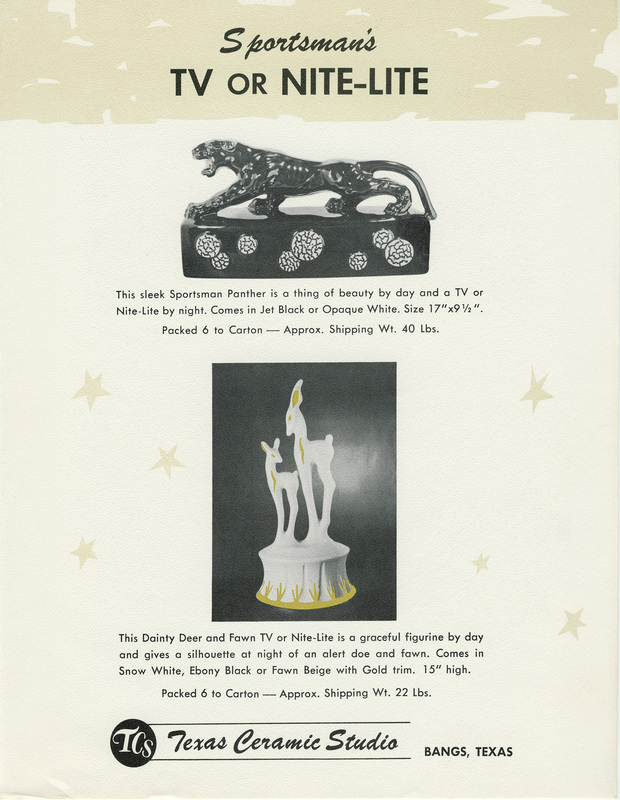 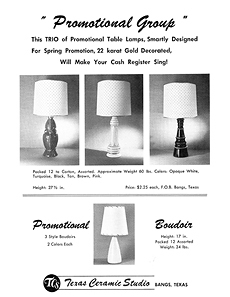 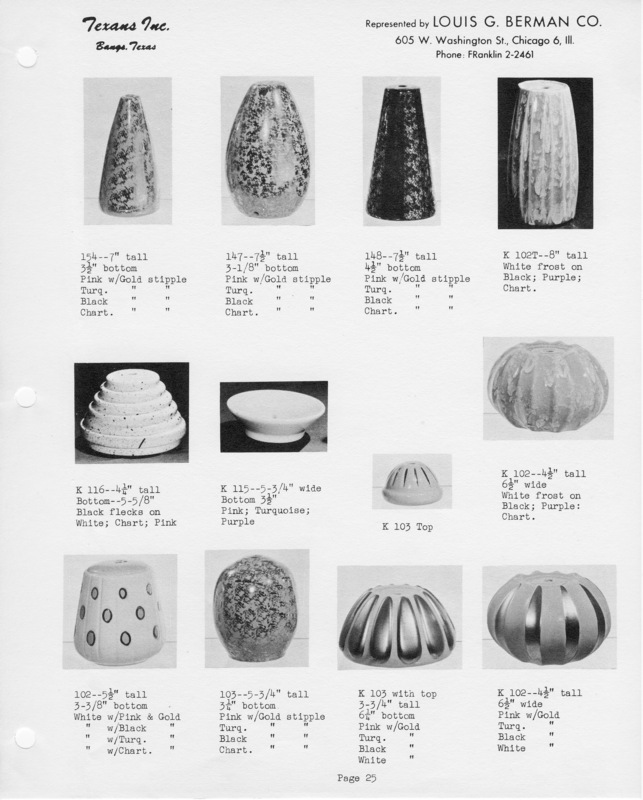 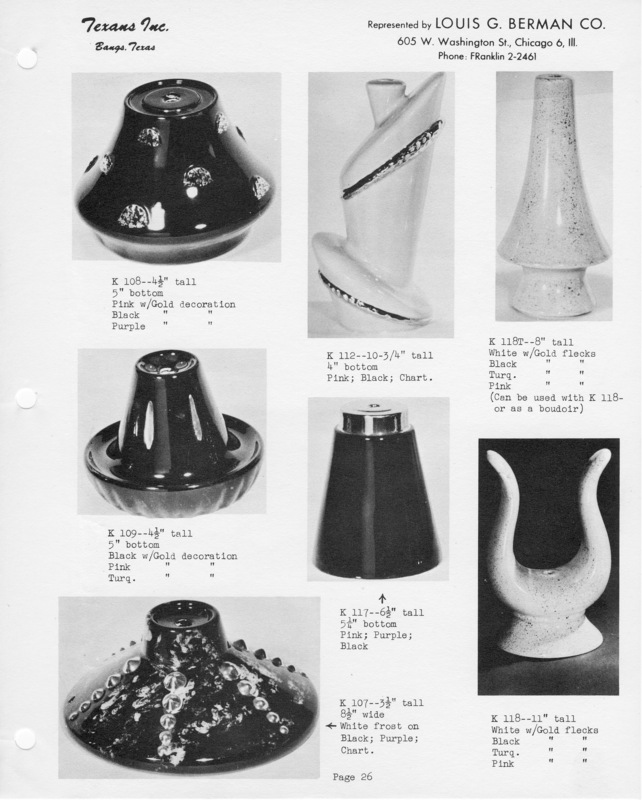 Berman was a "middle-man", selling incomplete lamp bases and parts to other companies.